Your Name Company Phone Number Email When is a good time to call (include timezone)? How do you plan to use Double? We've written up some best practices, tips, and tricks to get the most out of the remote work experience. We have more materials available to help you build support for Double within your team and your company. Contact our sales team to start the conversation. We're here to assist you. Double is the most innovative tool for bringing your remote workers into the office. It enables a revolutionary new level of interaction with your remote team. Remote workers are now first-class citizens. Most offices have quite a bit of ad-hoc verbal communication throughout the day. How many of those little conversations do the remote workers miss? Typically, the remote worker is only contacted for higher priority items. This makes them second-class citizens, since they're not in the loop on many day-to-day activities. 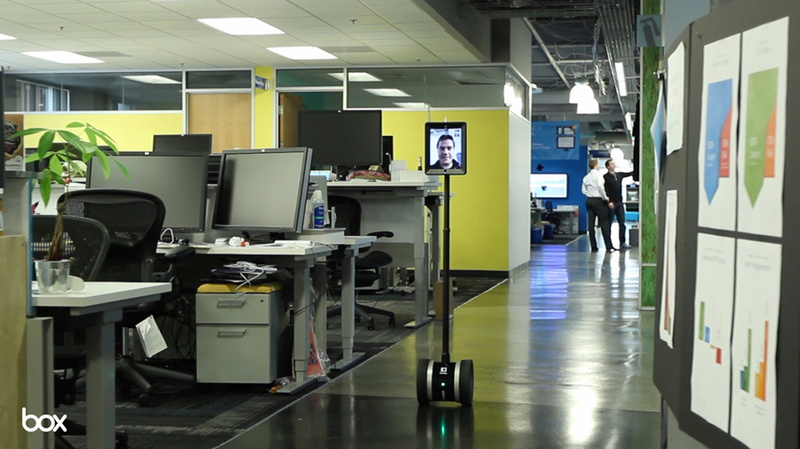 Double gives each remote worker a physical presence in the office all day, every day. They're there for the hallway conversations. You no longer need to say "can someone call Mary and let her know what we talked about?" Many customers, like Jonathan at LinkedIn, say "Double is a game changer for remote work." Companies are now expanding their telecommuting policies because Double impoves the experience so much. This method of telecommuting is vastly different and creates a strong collaborative environment for both the remote worker and their whole team. Hire the experts, no matter where they happen to live. Any growing business needs to hire the best knowledge workers. What are the chances that the best expert lives within driving distance of your office? Light Chaser Animation in Shanghai, China aims to rival Hollywood studios with their animated films, so they hired a director in Los Angeles to work via Double. Retain your best employees, even when they move. Hiring is very difficult. It's even more difficult when you lose a valued team member and need to replace them. Next time an employee needs to move away, they can continue their job via Double. It's a win-win for everyone.